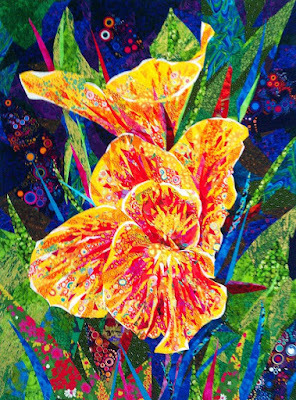 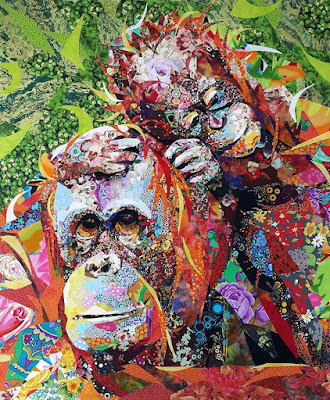 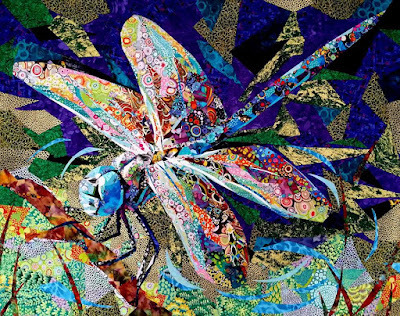 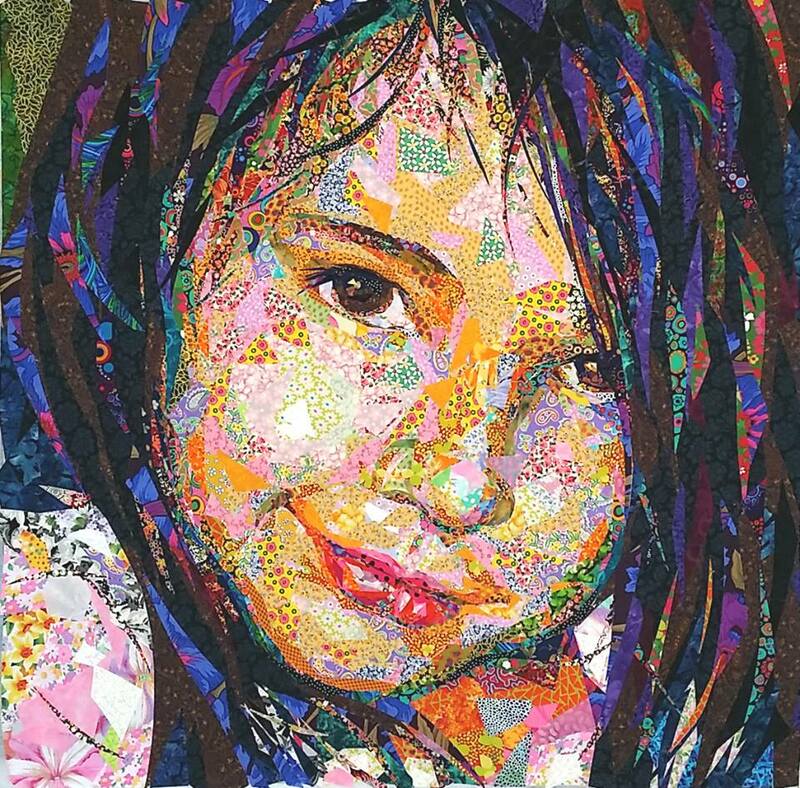 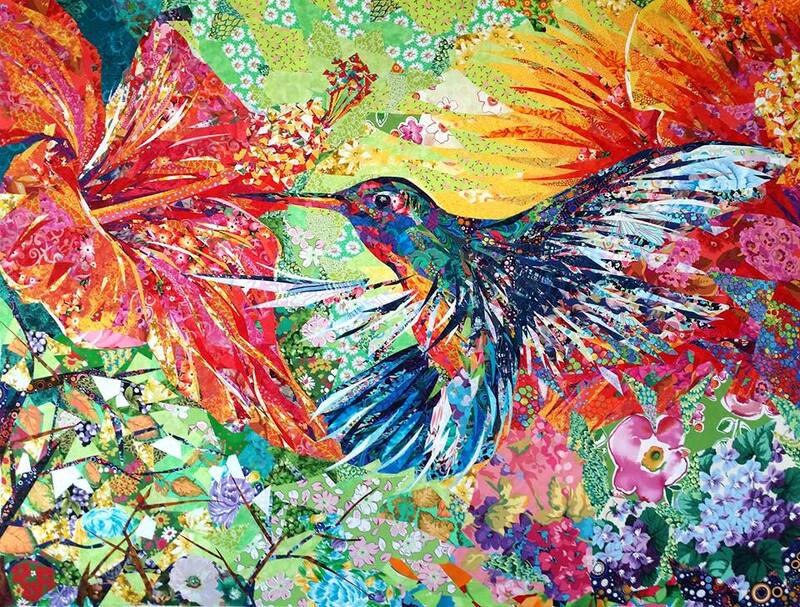 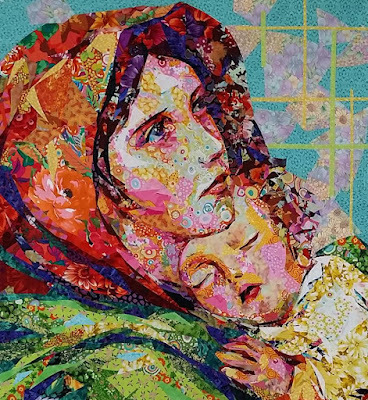 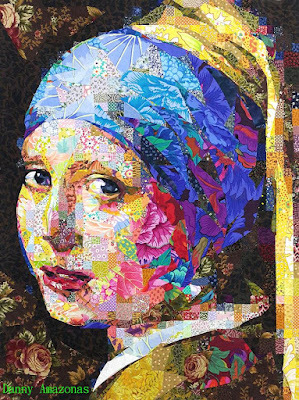 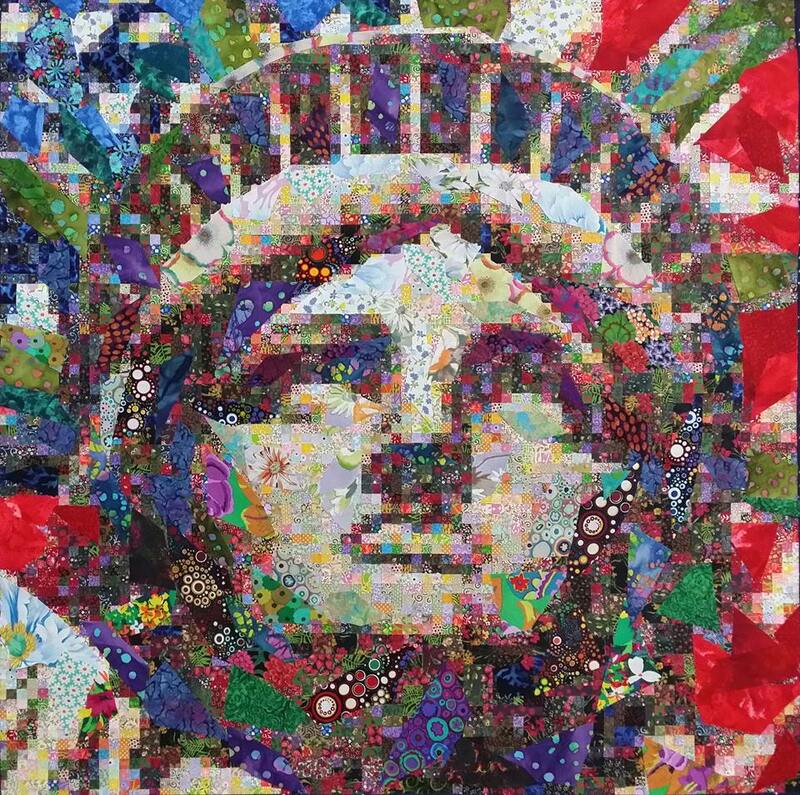 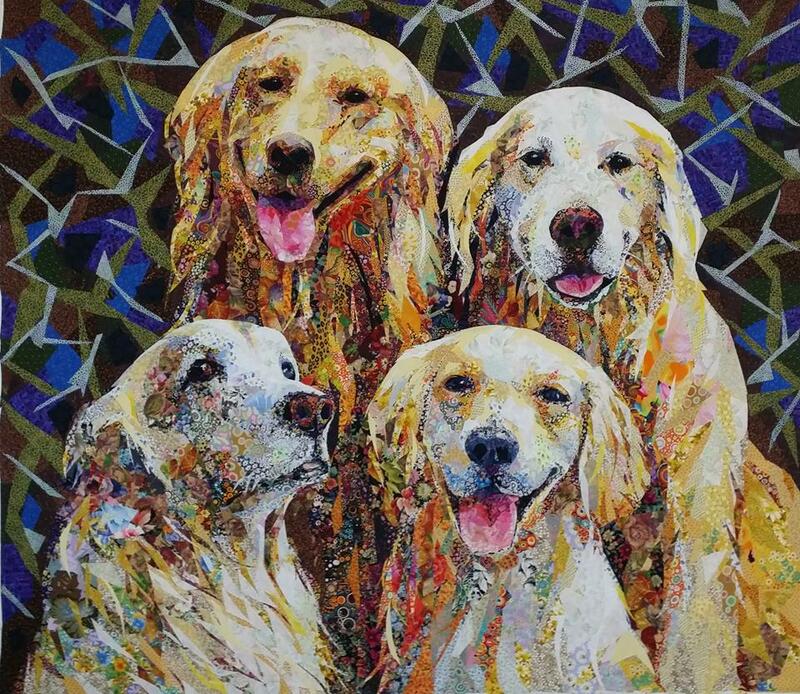 Danny Amazonas is celebrated in the quilt world for his "quiltportrait" works of art. 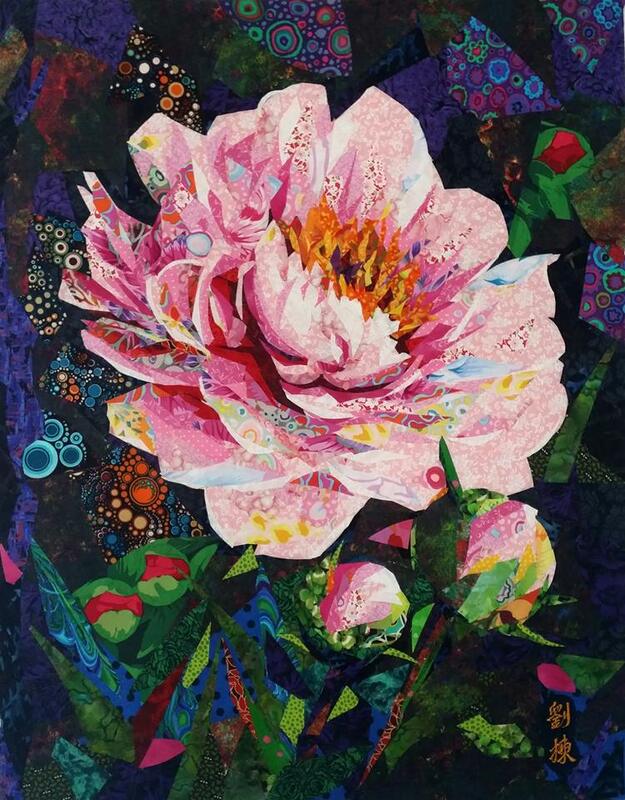 These beauties consist of thousands of tiny pieces of fabric, mostly designer Kaffe Fassett prints, arranged artfully to grown into a one of a kind treasure. 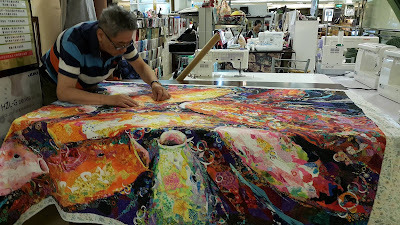 Here are photos of some of his work and the last one a photo of Amazonas working on his art.